Happy New Year! Our first episode of 2019 is a chatty one as we share our 2019 reading and writing resolutions, as well as our goals for the podcast. We also get into the increasing bougieness of the Oscars, our love-hate relationship with the Goodreads Challenge and a number of Instascams (including Fyre Festival). 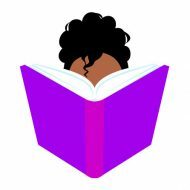 Listen in and share your reading resolutions with us at @blackchicklit. Shout out to everyone who took part in our poll or responded to our resolution tweets. Do you have a suggestion for a future #BCLChat? Email us at contact@blackchicklit.com. And don’t forget to rate, review and subscribe to Black Chick Lit on iTunes. If you’re looking for some contemporary romance, I’ve become a huge fan of Talia Hibbert over the past year. A Girl Like Her is great! I’m also a Beverly Jenkins stan so I’m looking forward to the next episode! If you’re looking for some train action, check out Night Hawk by Beverly Jenkins. Lol. Also, I’m looking forward to the fantasy/sci-fi episodes as well since I’m a huge fantasy junkie. Love the podcast and I would totally purchase some merch! !